26 events based on the poet’s philosophy will draw fans from across the country starting January 8. 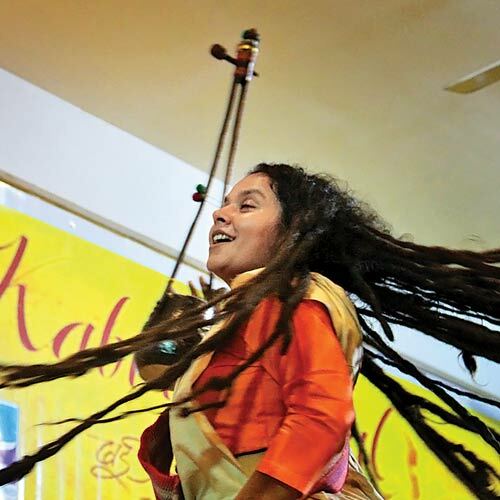 Parvathy Baul, a celebrated Baul singer from West Bengal, at an earlier edition of the fest. The famed poet-saint Kabir’s mystic spell is set to hold the city sway from January 8 to 12. The fourth of its kind, the Kabir Festival will be held at Breach Candy, Fort, Jogeshwari, Nariman Point, Vidyavihar, Powai, Andheri, Lower Parel, Matunga, Khar, Bandra, Byculla, and Bhendi Bazaar. “The idea behind having it across the city is that people from different areas can enjoy it,” said Falguni Desai, a member of the Kabir Community in city, which is organising the festival. It’s co-sponsored by Shabdam, an initiative to preserve the Hindi language and associated literary and art forms. There will be 26 events based on the poet’s philosophy, and the programme includes live music, films, workshops, music narratives and Bharat Natyam and Kathak performances. All events will be free of cost and open to everyone, except those that are being held exclusively for children and students. “Folk music is usually ticketed, expensive and beyond the masses’ reach. As our motto is erasing all boundaries that divide people, it will be free of cost. The festival will encourage equality, love and brotherhood,” said Desai. Prominent performers will include Padma Shri Prahlad Singh Tipaniya, a renowned Kabir singer of the Malwi folk tradition, Mooralala Marwada, a Kabir singer of the Kutch folk tradition, Bhanwari Devi, a rustic folk singer from Churu, Rajasthan, and Parvathy Baul and Lakshman Das Baul, celebrated Baul singers from West Bengal. “The reason folk music features so prominently is that most of Kabir’s work has been passed down through song and music,” said Desai. Apart from folk music, the festival will see some first-time performers bringing together different expressions of faith. The Sufi Gospel project with Sonam Kalra will give one such performance via gospel singing and sufi renditions. ‘Mad and Divine’ by Rama Vaidyananathan will look to bring alive the poetry of Janabai and Lal Ded through dance while Sanjukta Wagh’s performance in collaboration with Hindustani vocalist Makrand Deshpande and percussionist Satish Krishnamurthy will present ‘Ubha Vitewari’, exploring varied voices from the Varkari Sampradayaa through Kathak.